Does it ever seem to you like you cook the same things over and over? It can be so easy to fall into a rut with our meals. As busy moms, we have so many balls in the air all the time that figuring out new things to make, and not knowing if our people will like them, just seems like a lot of extra work. I do want my kids to grow up tasting all sorts of things though because we never know where these people we are raising will end up. And one day, Lord willing, they will get married and I have no idea what their spouse will enjoy cooking. With all that said, I do want them to experience different flavors and meals while they’re here at home. Not to mention, making new things is more fun for me. I think they call it a “cooking rut” because being stuck isn’t really any fun and you’re trying to find a way to get out. 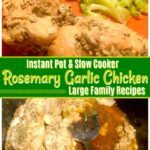 Rosemary might be a very familiar flavor for your family but if not, I’d encourage you to at least try this delicious slow cooker meal that uses it. It’s super simple to throw together and smells so incredibly wonderful at the end of a busy day. Besides, any meal that you prep ahead and then can just plop in the slow cooker and leave it to do its thing is a great meal by me! 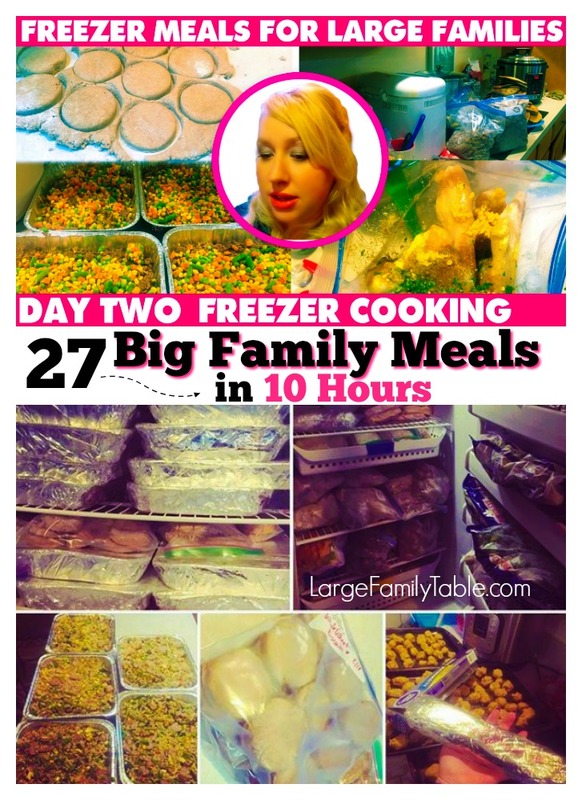 This recipe makes 2 gallon-sized bags for the freezer! Place all ingredients in 2 gallon-sized freezer bags. Seal, remove all air, and freeze flat. For slow cookers, cook on HIGH for 4 hours or on LOW for 8. For your electric pressure cooker, add 1 cup of water, then place frozen chicken in IP and cook on Manual HIGH for 25 minutes. 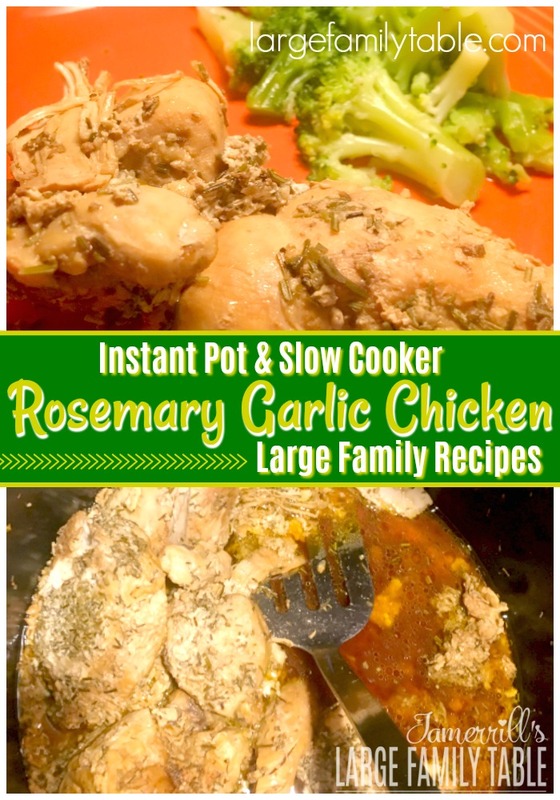 This lovely Instant Pot or Slow Cooker Rosemary Garlic Chicken was one of the many meals I did during my last 27+ Meals in 10 Hours Large Family Freezer Cooking Day! 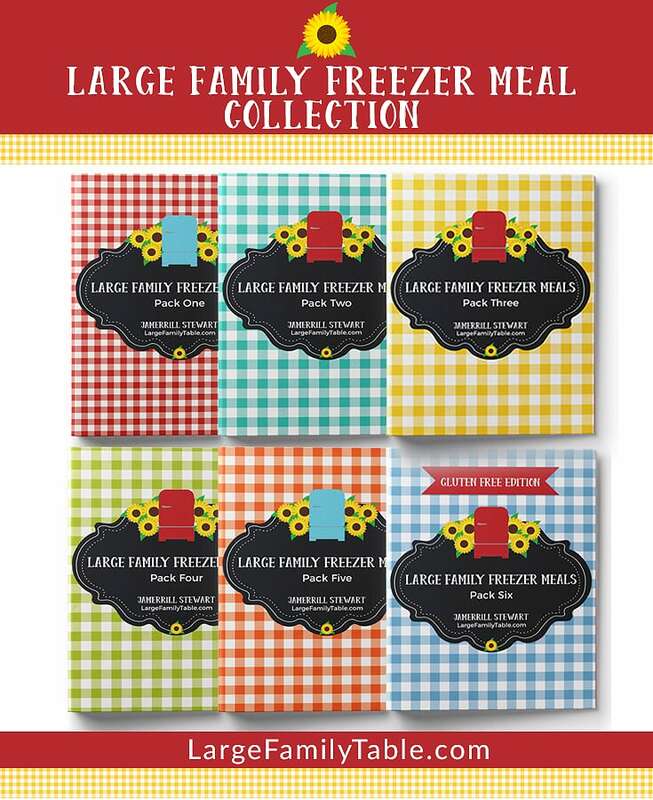 See all the freezer meals here!